Amerock Davenport 5-1/16-inch (128 mm) CTC Pull is finished in Gunmetal. Simple lines and curves paired with strong, subtle finishes give the Davenport collection a distinct appeal. Installed horizontally or vertically, the balanced lines of these cast metal knobs and pulls add refined geometry to any space. Elegant and eye-catching, Gunmetal is the perfect alternative for those who love metallic, but prefer a hint of subtlety. Use this finish to enhance the modern ambience of stainless steel and Black appliances without overwhelming their natural gravity. Amerock markets decorative hardware solutions that inspire, coordinate and help express personal style. For the kitchen, bathroom and the rest of the home, with a variety of finishes and designs for all decorating tastes, Amerock is the ultimate, time-tested source for hardware needs. Amerock markets products in four categories: decorative hardware, decorative hooks, bath accessories and functional hardware. Amerock Davenport 5-1/16in(128mm) CTC Pull is finished in Oil-Rubbed Bronze. Simple lines and curves paired with strong, subtle finishes give the Davenport collection a distinct appeal. Installed horizontally or vertically, the balanced lines of these cast metal knobs and pulls add refined geometry to any space. The Oil-Rubbed Bronze finish is a rich, dark brown old world finish with striking light and dark accents. 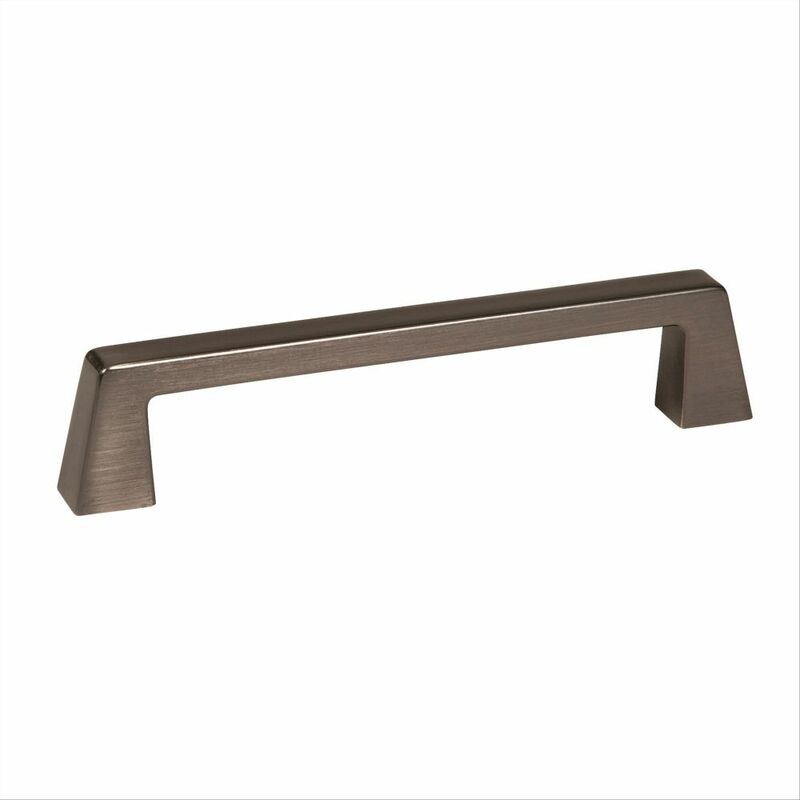 The Amerock Esquire 5-1/16-inch (128 mm) CTC Pull is finished in Oil-Rubbed Bronze. Innovative, ground-breaking ideas are the inspiration that drives Esquire. The Oil-Rubbed Bronze finish is a rich, dark brown old world finish with striking light and dark accents. Amerock markets decorative hardware solutions that inspire, coordinate and help express personal style. For the kitchen, bathroom and the rest of the home, with a variety of finishes and designs for all decorating tastes, Amerock is the ultimate, time-tested source for hardware needs. Amerock markets products in four categories: decorative hardware, decorative hooks, bath accessories and functional hardware. Blackrock 5-1/16 Inch (128mm) CTC Pull - Gunmetal The Amerock BP55277GM Blackrock 5-1/16in(128mm) CTC Pull is finished in Gunmetal. The BlackRock collection offers sleek simplicity with a contemporary indulgence. This eclectic line boasts bold shapes and sizes. Elegant and eye-catching, Gunmetal is the perfect alternative for those who love metallic, but prefer a hint of subtlety. Use this finish to enhance the modern ambience of stainless steel and black appliances without overwhelming their natural gravity.